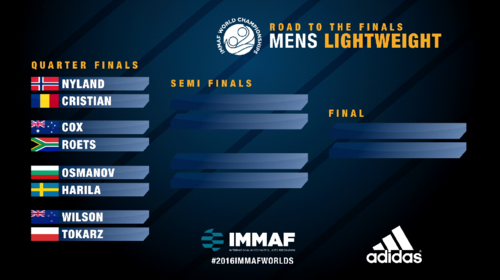 IMMAF 2016 World Championships: Men's Light Heavyweight Jul 10, 2016 (51:48) Highlighted bouts from the IMMAF 2016 World Championship's Men's Light Heavyweight Division tournament in International Fight Week in Las Vegas, Nevada on July 10, 2016. IMMAF 2016 World Championships: Men's Middleweight Jul 10, 2016 (52:27) Highlighted bouts from the IMMAF 2016 World Championship's Men's Middleweight Division tournament in International Fight Week in Las Vegas, Nevada on July 10, 2016. 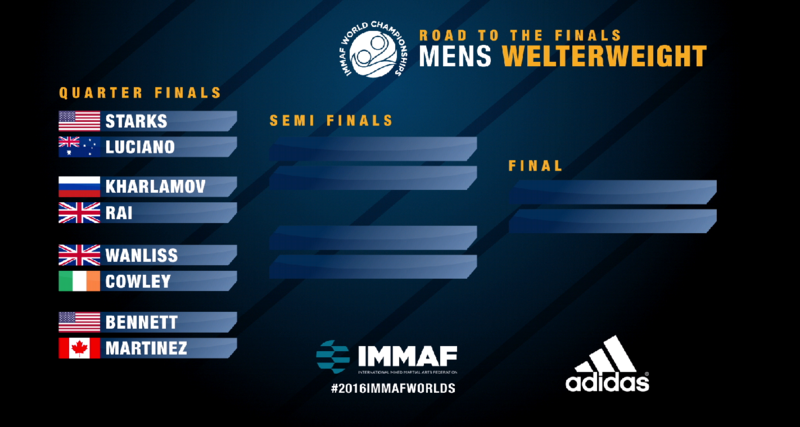 IMMAF 2016 World Championships: Men's Welterweight Jul 10, 2016 (52:11) Highlighted bouts from the IMMAF 2016 World Championship's Men's Welterweight Division tournament in International Fight Week in Las Vegas, Nevada on July 10, 2016. 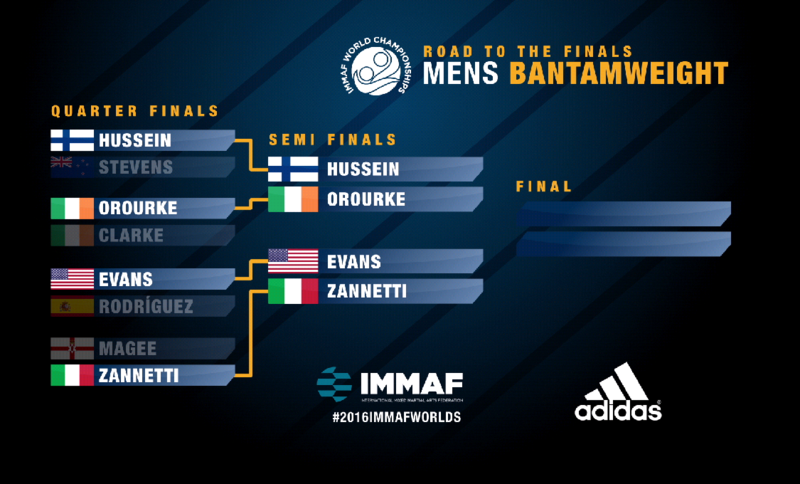 IMMAF 2016 World Championships: Men's Lightweight Jul 10, 2016 (52:27) Highlighted bouts from the IMMAF 2016 World Championship's Men's Lightweight Division tournament in International Fight Week in Las Vegas, Nevada on July 10, 2016. 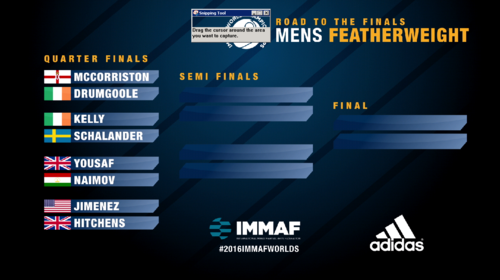 IMMAF 2016 World Championships: Men's Featherweight Jul 10, 2016 (52:26) Highlighted bouts from the IMMAF 2016 World Championship's Men's Featherweight Division tournament in International Fight Week in Las Vegas, Nevada on July 10, 2016. 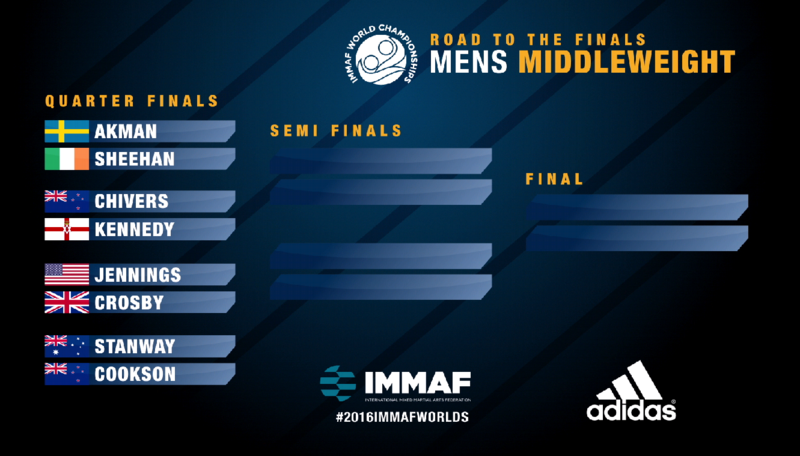 IMMAF 2016 World Championships: Men's Bantamweight and Men's Heavyweight Jul 10, 2016 (51:47) Highlighted bouts from the IMMAF 2016 World Championship's Men's Bantamweight and Men's Heavyweight Division tournaments in International Fight Week in Las Vegas, Nevada on July 10, 2016. 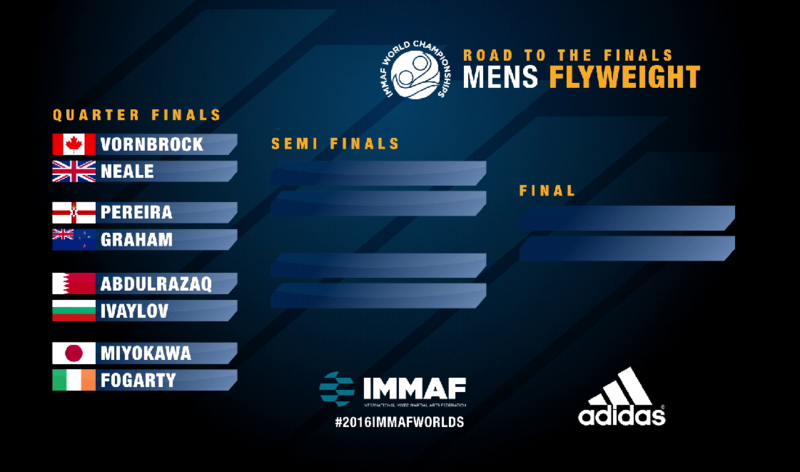 IMMAF 2016 World Championships: Men's Flyweight Jul 10, 2016 (52:26) Highlighted bouts from the IMMAF 2016 World Championship's Men's Flyweight Division tournament in International Fight Week in Las Vegas, Nevada on July 10, 2016. 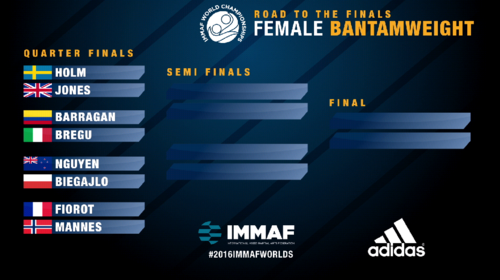 IMMAF 2016 World Championships: Women's Bantamweight and Women's Featherweight Jul 10, 2016 (52:23) Highlighted bouts from the IMMAF 2016 World Championship's Women's Bantamweight and Women's Featherweight Division tournaments in International Fight Week in Las Vegas, Nevada on July 10, 2016. 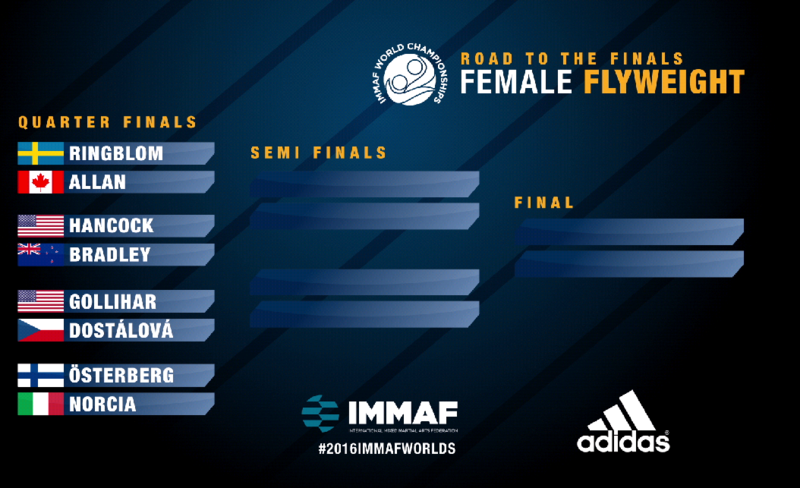 IMMAF 2016 World Championships: Women's Flyweight Jul 10, 2016 (51:52) Highlighted bouts from the IMMAF 2016 World Championship's Women's Flyweight Division tournament in International Fight Week in Las Vegas, Nevada on July 10, 2016. 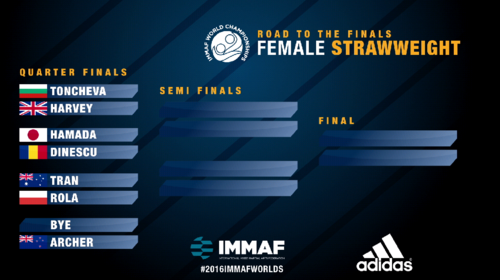 IMMAF 2016 World Championships: Women's Straweight & Men's Super Heavyweight Jul 10, 2016 (51:55) Highlighted bouts from the IMMAF 2016 World Championship's Women's Strawweight and Men's Super Heavyweight Division tournaments in International Fight Week in Las Vegas, Nevada on July 10, 2016.